The Circus is Back in Town | North Carolina Fisheries Association, Inc. If you have followed fishery management in NC at all over the last 20 years, then you are already aware of the ongoing debate over how to best manage North Carolina’s Southern Flounder fishery. Every time the issue comes up it turns into a three-ring circus, complete with false narratives, finger pointing, and name calling. 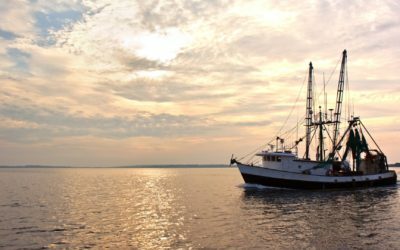 In fact, the last attempt got so far out of hand that it ended with a lawsuit being filed by the North Carolina Fisheries Association (NCFA). 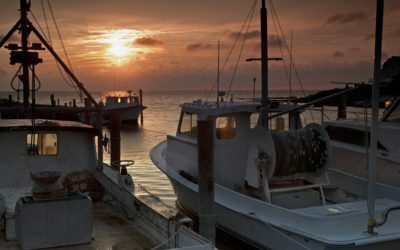 Despite all of this, significant changes have been made in an attempt to reduce the harvest of Southern Flounder. Over the years, size limits have changed several times for both recreational and commercial fishermen. Strict recreational daily bag limits have been set, and commercial gears have been restricted and modified, but to what end? According to a recent regional stock assessment conducted by the NC Division of Marine Fisheries (NCDMF), the Southern Flounder stock has continued to decline and is now in worse shape than ever. If this is true (and it is), we have to ask ourselves, “Why didn’t the management measures that we put into place work?”. After reviewing the data, it is my opinion that the management measures were successful at reducing the discard mortality and total harvest of Southern Flounder in the commercial fishery. In fact, as a true testament to the selectivity of commercial gears, by simply adding escape panels to pound nets and restricting the mesh size of gill nets used to harvest flounder commercially, dead discards now account for less than 1% of the total removals from the stock. Commercial harvest has also been reduced to less than half of what it was in the 1990’s, leading some to assume that there has to be less fish, but this argument quickly falls apart when you take a closer look at the recreational data. As commercial landings and discards dropped, recreational harvest and discards steadily increased, as fish that were lost to commercial gears became available to recreational anglers. Recreational harvest continued to rise until 2011, when the state once again raised the recreational size limit to 15 inches and reduced the daily bag limit to 6 fish. Unfortunately, the increased size limit also increased the number of dead discards in the recreational fishery, to the point that they now account for 16.6% of the total removal from the stock. While increased size limits and gear modifications have reduced the overall impact of the commercial fishery, our inability to cap recreational effort allowed anglers to recoup those fish in the form of increased harvest and dead discards. The fact is, the management strategy we have implemented has reallocated the resource from one user group to another, while converting a significant portion of the fish once harvested into waste, with little or no benefit to the stock! To make matters worse, we continued to increase the size limit until we reached a point where commercial and recreational harvest is now made up almost entirely of female flounder, potentially jeopardizing the stocks ability to reproduce. This management strategy has brought us to a point where we are once again forced to find a way to end overfishing and rebuild the Southern Flounder stock. I admit that my assessment of this situation is based as much on common sense as it is on science, but I firmly believe that managers will have to take a common sense approach to management if we hope to rebuild this stock and preserve our valuable fisheries. The staff at the Division of Marine Fisheries are currently looking at ways to reduce total harvest and discards by 52% to 72%. 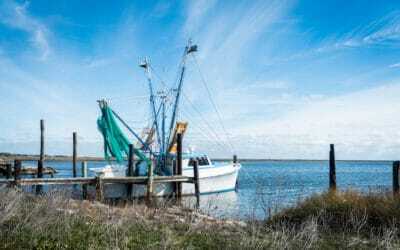 While this may meet the statutory requirements to end overfishing, it will eliminate recreational harvest of Southern Flounder and bankrupt commercial fishermen. We need to learn from our mistakes and think outside the box as we move forward with the management process. There has to be a way to rebuild this stock without jeopardizing our traditional fisheries, and if we are willing to step outside of the box and work together, I’m sure we can find it. While the future of the fishery and fishermen is uncertain, one thing is for sure – the circus is back in town and it promises to be one heck of a show! So grab some popcorn and a front row seat, but be forewarned, the price of admission may be much higher than ever before.